When Qiubao was born with a cleft lip and palate, his parents began to devote a lot of their time and energy and money to find a better hospital and treatment methods for him. They spent lots of money on Qiubao’s first surgery and it seemed that he had been cured. He was left with a very obvious scar and a very flat nose. At 18, he felt inferior. In 2011, his family heard that there has advanced treatment and rehabilation available at JSPH. They visited JSPH and were included in the TFW Rainbow Bridge Project. The multiple service team made a Treatment and Orthodontics Program for Qiubao. 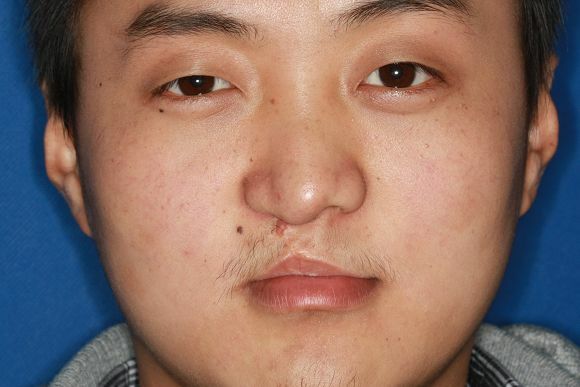 In the following days, Qiubao received a free surgery for his nose and an alveolar bone graft. The speech therapist also provided an evaluation of speech and systematic speech therapy for him. The medical social workers and nurses in hospital also have give him very thoughtful care and some more knowledge about CLP, so his parents can take better care of him at home. 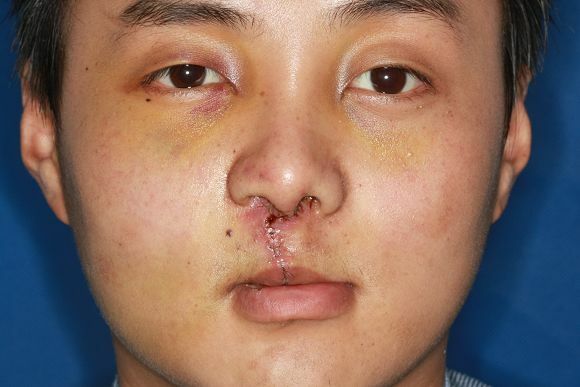 After treatment, Qiubao has became more and more confident.